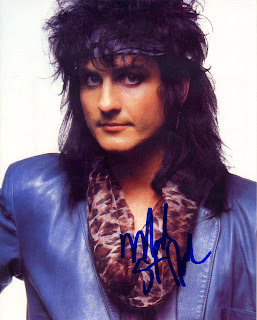 One-time KISS guitarist Mark St. John died yesterday from a brain hemorrhage. He was 51. St. John was only in the band for a matter of months. He joined in 1984 as a replacement for Vinnie Vincent (who had replaced original guitarist Ace Frehley), and played on the platinum selling album Animalize. Animalize yielded the hit "Heavens On Fire" and returned KISS to platinum status for the first time in nearly five years. In what could only be described as incredibly bad luck, St. John was diagnosed with a condition known as Reiter's Syndrome which caused his hands to swell, and made it impossible to play guitar. He was replaced in 1985 by Bruce Kulick who remained in the band until 1996 when the original line-up reformed. Eventually, the Reiters was treated, and St. John formed a band called White Tiger with a former lead singer of Black Sabbath. He also worked briefly on a project with original KISS drummer Peter Criss.